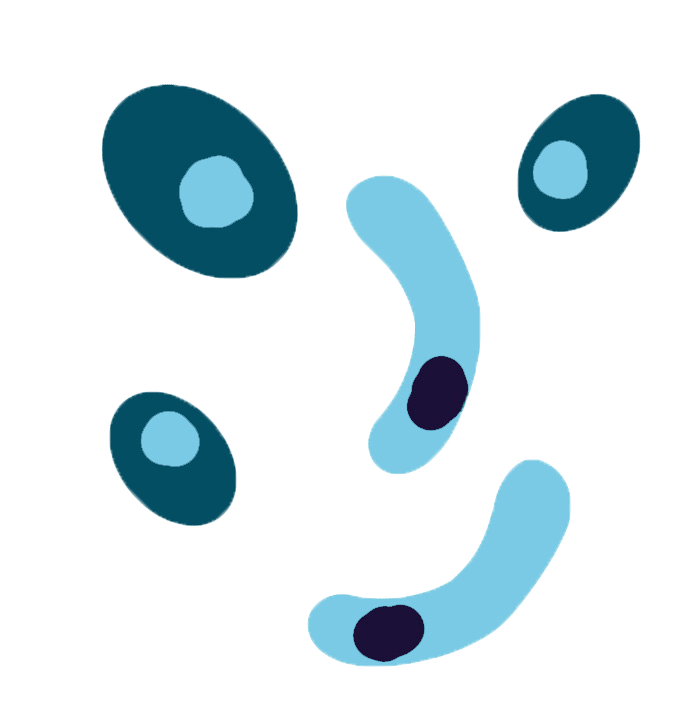 We offer antibodies which detect Sporozoans, these species sit within the group called Apicomplexa, which are classified to have no locomotion in the adult form of their life cycle. Our products include antibodies for Plasmodium, Cryptosporidium, and Toxoplasma parasites. These protozoans are involved in a wide variety of human diseases. 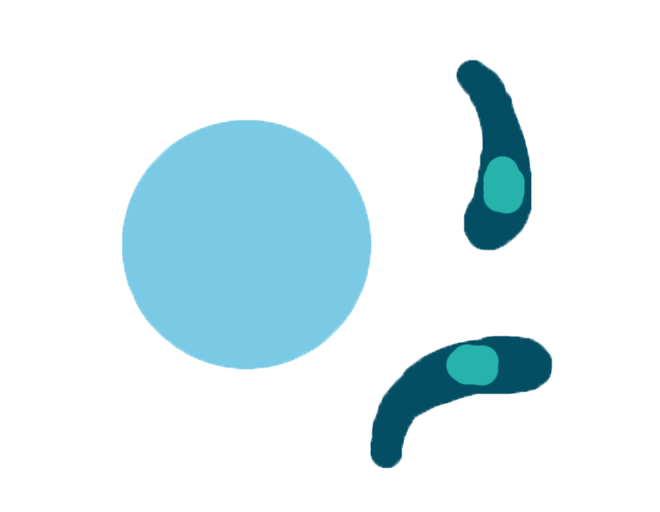 Protozoans are challenging to research due to their complex life cycles. Their life cycle stage often requires an alternative cultivation, diagnosis, and target antigens. This makes the selection of the correct antibody even more important. Please contact our Technical Support team if you require any help or advice. Plasmodium falciparum is a protozoan parasite which causes malaria in humans, and is spread via a female mosquito vector. Several of our antibodies for malaria diagnostics have been produced using the HuCAL technology to create thermostable monoclonal antibodies. Mouse anti Plasmodium falciparum (clone PEM-1) recognizes the merozoite surface protein 1 (MSP1). Mouse anti Plasmodium falciparum infected RBCs (clone IIIB6) reacts with erythrocytes infected with P. falciparum (all stages) not the parasite itself. Mouse anti Plasmodium falciparum schizont infected RBCs (clone IIB7) reacts only with erythrocytes infected in the late stages (schizonts), it binds to the Maurer's clefts rather than the parasite. Human (HuCAL) anti Plasmodium falciparum LDH (clone AbD14001), specifically recognizes LDH (L-Lactose Dehydrogenase). Human (HuCAL) anti Plasmodium falciparum LDH (clone AbD14008), specifically recognizes LDH (L-Lactose Dehydrogenase). Human (HuCAL) anti Plasmodium falciparum HRPII:HRP (clone AbD14964), recognizes HRPII (Histidine Rich Protein II). Human (HuCAL) anti Plasmodium falciparum HRPII (clone AbD14971), recognizes HRPII (Histine Rich Protein II). Plasmodium vivax is a protozoan parasite which causes recurring malaria in humans, and is spread via a female mosquito vector. Mouse anti Plasmodium vivax CSP (clone PVC-1), recognizes the circumsporozoite protein (CSP). Mouse anti Plasmodium vivax, clone PVM-1, recognizes the merozoite surface protein 1 (MSP1). Human (HuCAL) anti Plasmodium vivax LDH:HRP, clone AbD13978, recognizes LDH (L-Lactose Dehydrogenase). Recombinant Plasmodium vivax CSP protein fused to GST, expressed in E. coli. Cryptosporidium is a protozoan which causes the gastrointestinal illness called cryptosporidiosis, and is commonly spread via infected water. Mouse anti Cryptosporidium, clone BEL 0126, recognizes a membrane antigen expressed by the oocysts of Cryptosporidium sp. Mouse anti Cryptosporidium parvum, clone 7631, detects the protozoa Cryptosporidium parvum. 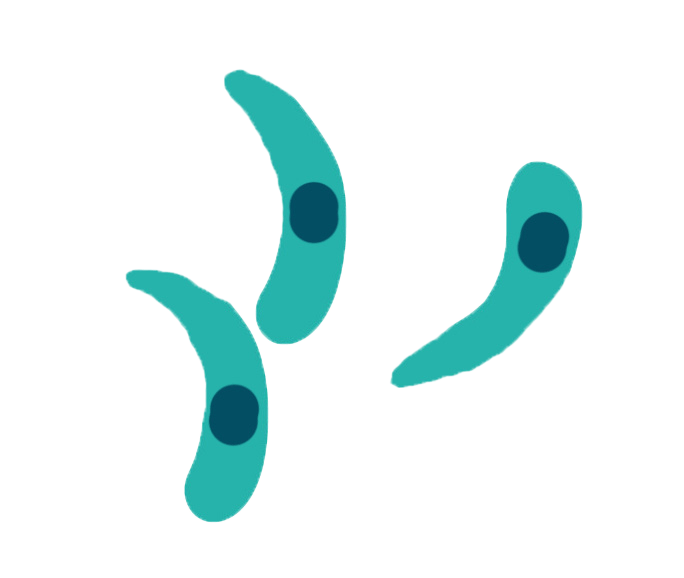 Toxoplasma gondii is an obligate intracellular protozoan parasite that enters its host via the gastrointestinal tract and causes the disease toxoplasmosis. The definitive host of T. gondii is cats, but it can also be carried by a vast number of warm-blooded animals, including humans. Rabbit anti Toxoplasma gondii RH strain, recognizes purified trophozoites. Goat anti Toxoplasma gondii, AHP1084 polyclonal antibody detects the virulent RH strain and is specific for the tachyzoites infectious stage in the T. gondii life cycle. Goat anti Toxoplasma gondii Tachyzoites antibody recognizes the RH strain of the coccidian parasite. Mouse anti Toxoplasma gondii P30, clone TP3 (P30/3), is specific for the P30 membrane protein. Native Toxoplasma gondii RH strain surface antigen. Recombinant Toxoplasma gondii, P29 GRA7 (aa24-100), an Escherichia coli-derived recombinant protein corresponding to amino acids 24-100 of Toxoplasma gondii dense granule protein 7 (p29/GRA7). Recombinant Toxoplasma gondii, P30 SAG1 (aa45-198), an E. coli derived recombinant Toxoplasma gondii P30 (sag1) immunodominant region.